For an exciting wilderness adventure, board Aihe for a cruise to the head of Paterson Inlet, then along the winding Freshwater River. Take an independent hike for 4 hours along a flat track, muddy in parts, through scrubland, wetland and tussock country from Freshwater Landing to Mason Bay. Pass the historic Island Hill sheep run, with the old woolshed and homestead (now used as a Department of Conservation field office). From the homestead, the track leads to Mason Bay Hut, then past dunes, along Duck Creek to the expanse of Mason Bay beach. 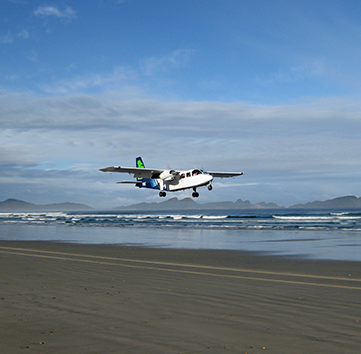 At stunning Mason Bay, await your plane for a spectacular flight over Mason Bay beach and dunes. Enjoy some fabulous photo opportunites along the way. Return to Oban in Stewart Island or Invercargill. This package may operate in reverse to fit in with tides and / or daylight hours. You may wish to stay at Mason Bay Hut to soak in the environment. We can help with information. Outdoor gear and equipment can be hired from our Stewart Island Outdoor Adventure Shop. From Oban, Golden Bay Wharf, to Freshwater River and Freshwater Landing, to Mason Bay, returning to Oban. It is possible to start / finish your trip in Invercargill. Package Take a wilderness adventure starting from Oban, Golden Bay Wharf. 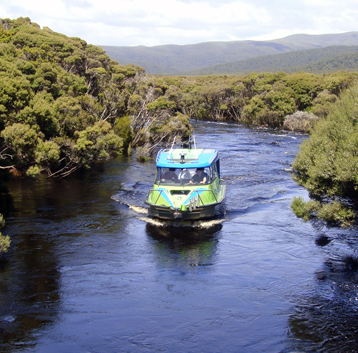 Cruise along Paterson Inlet and long the primeval Freshwater Valley. Hike across scrubland, wetland, and tussock country, enjoying birdlife and if you are lucky a kiwi. At stunning Mason Bay, enjoy the stunning beach and dune scenery before boarding a light plane for a spectacular ride back to Oban. Optional stay at Mason Bay Hut. This trip may operate in reverse order subject to tides and daylight hours. This trip can operate to and from Invercargill subject to your preference and availability. Wildlife Encounters Look out for seabirds, penguins, cormorants, terns, during your boat cruise. 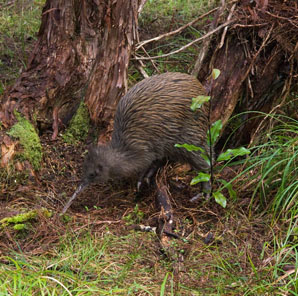 During your hike, you could be lucky and see a daytime kiwi. Other native birds, include: bellbird, tui, brown creeper, red-crowned parakeet, grey warbler, fantail, tomtit, fernbird, New Zealand pipit, oystercatchers, gulls, banded dotterel. Duration Boat: approx. 45 minutes by boat, from Golden Bay Wharf to Freshwater Landing. Flight: approx. 10 minutes by plane, from Oban to Mason Bay or 25 minutes from Invercargill. Hike: approx. 16-18kms, 4 - 4.5 hours. Children Suitable for active children from 10 years. Available All year round, subject to prior bookings, tides and daylight hours. Departure / Return Point Departs: Golden Bay Wharf, Stewart Island for Freshwater River: 10 - 15 minutes walk from the centre of Oban Village. Returns: Plane to Ryans Creek Airstrip (then shuttle to Oban Village), Stewart Island or Invercargill Airport. Fitness Good fitness required, especially if you are planning to do this in a day and need to catch the boat / flight departure. This tour only operates during suitable high tides for access to Freshwater River and low tides for Mason Bay, daylight hours. For day trips: you will need to take suitable clothing, carry a daypack with your personal belongings, lunch, snacks and drinks. For overnight tips: you will need to take backpack, sleeping back, cooking and eating equipment, torch, toiletries and a change of clothing. 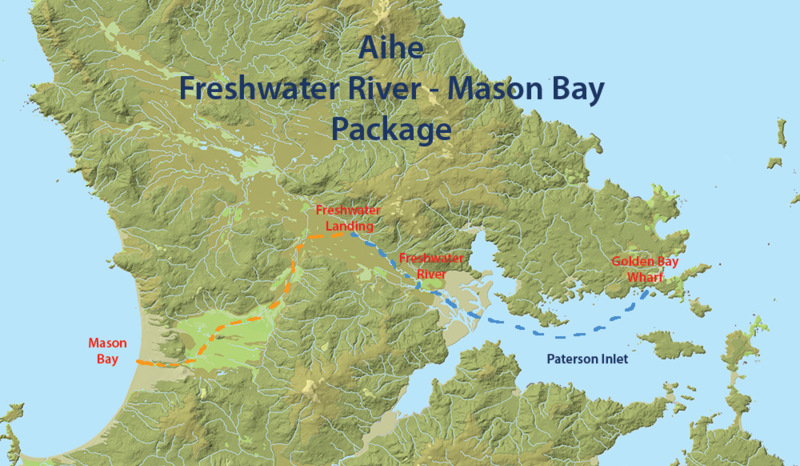 Facilities include water tank and longdrop toilets at Freshwater Hut (nearby Freshwater Landing) and Mason Bay Hut. © Copyright 2016 - 2018 Aihe Eco Charters & Water Taxi.